The African diet, albeit extremely diverse across the various regions of the continent, is rich in starchy flours obtained from tuber vegetables (such as cassava and yams), unripe fruit (such as bananas and plantains), and, most importantly, milled grains. 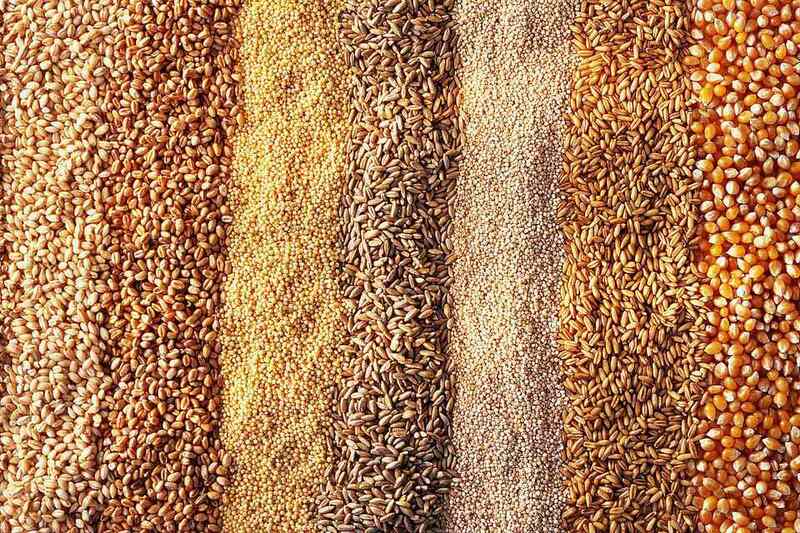 The grain products come mainly from grasslike crops like millet, teff, sorghum, and even wheat. These form the recognizable staple food of Sub Saharan Africa known as pap, sadza, nshima or ugali, amongst other names. Africa's most widespread staple is known to be maize, otherwise known as corn. The most common way to cook and consume it is as a porridge, where it is either made as a soft and runny breakfast porridge, or a stiffer maize meal mush, similar in consistency to the widely consumed fufu, yet not as gelatinous and sticky. It is interesting to point out, however, that maize is not only considerably difficult to grow in Africa, but it is also not indigenous to the continent. It is an economic crop first introduced by the Portuguese, and according to Miracle (1965), although it is contestable whether it was introduced in the 16th century or was already a cultivated crop in Africa, it is generally accepted that it was not the main grain at the time. Before maize was introduced to Sub Saharan Africa, millet was the most widely eaten grain across the continent. In fact, up to 50 years ago, it was still the grain of choice. Millet, particularly pearl millet, is said to have originated in Africa prior to being exported to Asia. In fact, according to the National Research Council, it has been documented that pearl millet was domesticated over 4000 years ago in West Africa. Other types of millet include fonio and finger millet (rapoko). Millet is highly nutritious and provides far more to the African food economy than maize does, however, due to the amount of scientific research and investment in cultivating maize, the use of millet as the main staple has been surpassed by that of maize. This is unfortunate because the plant is highly resistant to droughts, requires less irrigation than maize does and is a viable option for the provision of food security. Teff is a grain mainly associated with the Horn of Africa countries, Ethiopia and Eritrea. It is most widely known in the making of injera, the Ethiopian flatbread which goes very well with different types of stews known as wats. The teff flour is soaked and covered for a few days until it ferments. This act of fermenting enriches the teff and adds lightness and a natural form of leavening to the bread, resulting in the very light injera. Today teff is increasingly becoming available outside of its native land, Ethiopia, and is gaining popularity in the gluten-free food market. Sorghum is sometimes used interchangeably as millet, however, it is a different grain. It is popular in countries such as Botswana and is used to make pap or sadza, known in Botswana as bogobe. It can be fermented and made into a sour porridge known as ting. Wheat and wheat by-products are widely eaten in North Africa and some parts of the West and the Horn of Africa. The most common form of this is couscous. Miracle, M. P., 1965, The Introduction and Spread of Maize in Africa. The Journal of African History. 6(1), 39-55.